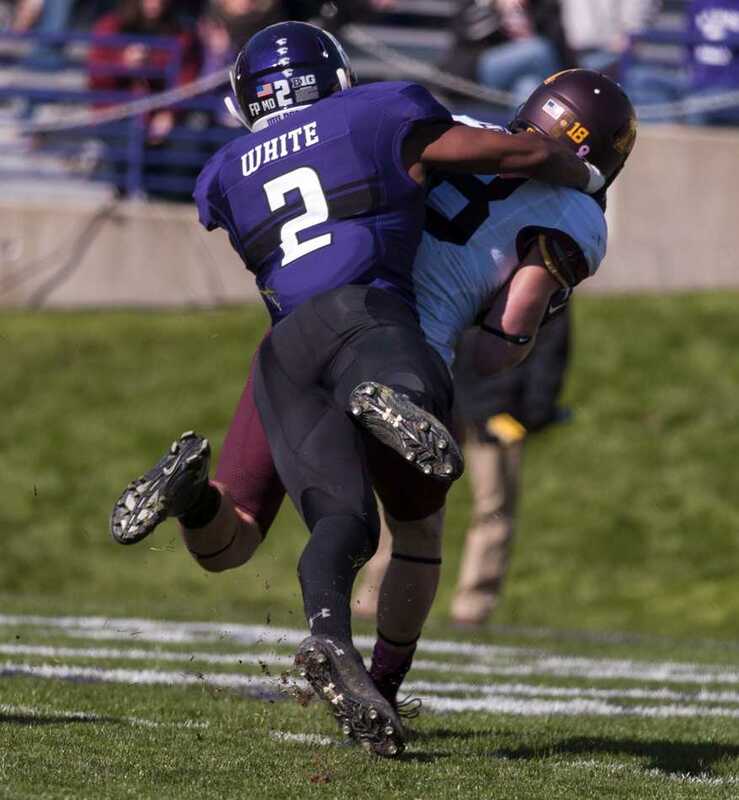 Dwight White makes a tackle in Northwestern’s game against Minnesota last year. The sophomore cornerback has decided to retire after learning he was born with only one kidney. Northwestern announced Thursday that sophomore cornerback Dwight White, who has not appeared in a game this season, will retire from the football team due to an non-football-related medical issue. The Chicago Tribune later reported that White decided to retire after learning he was born with only one kidney, a rare condition known as renal agenesis that affects 1 in 750 children.